Photos from the third day of the 2012 London Olympics. 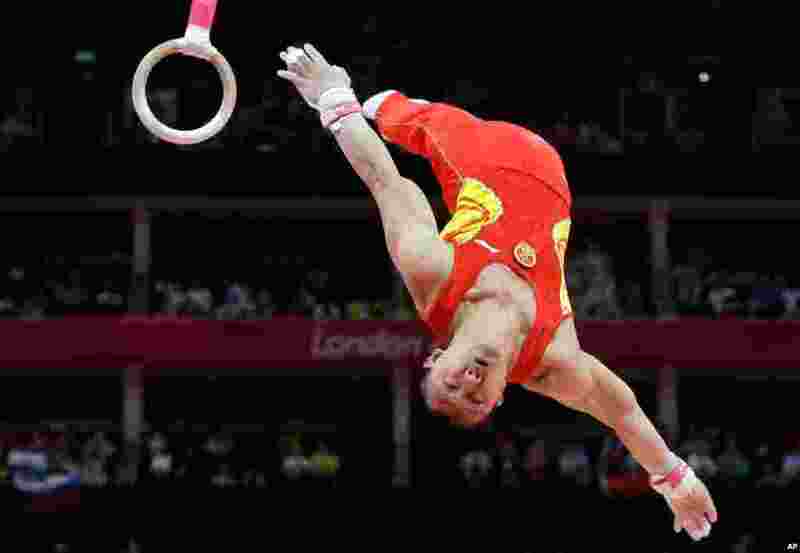 1 Chinese gymnast Chen Yibing performs on the rings during the Artistic Gymnastic men's team final, July 30, 2012. 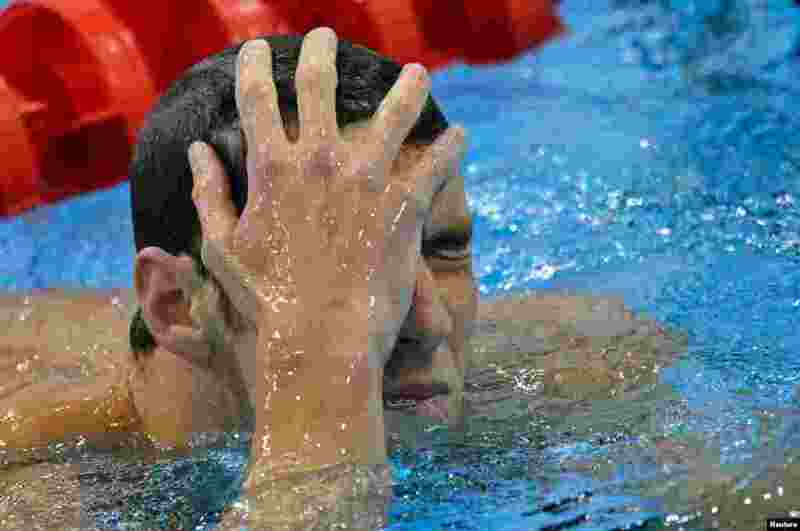 2 Michael Phelps of the U.S. reacts after taking third place in his men's 200m butterfly heat at the London 2012 Olympic Games at the Aquatics Centre. 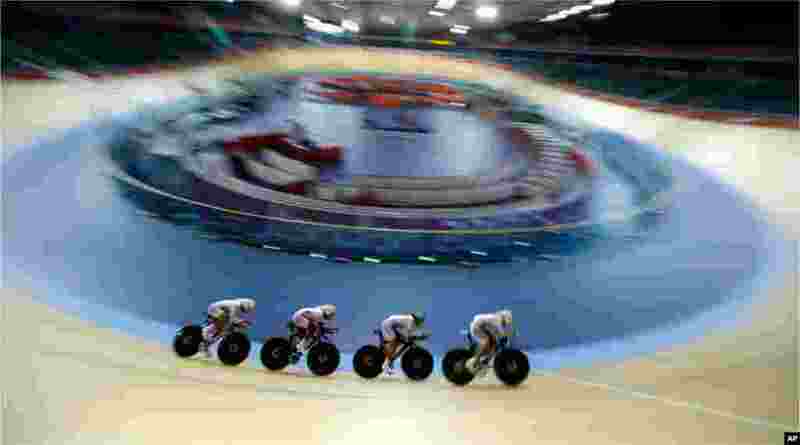 3 The South Korean men's cycling team during a training session at the Velopark in London, July 30, 2012. 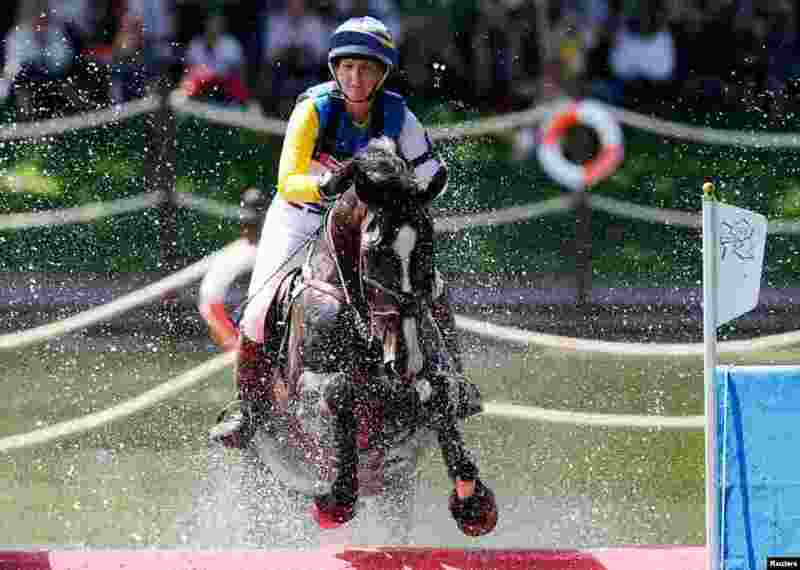 4 Sweden's Linda Algotsson rides La Fair as she competes in the Eventing Cross Country equestrian event in Greenwich Park.